18 Punny Valentine Jokes That’ll Crack Your Students Up! Download these free printable Valentine jokes for your students and spread a little love! 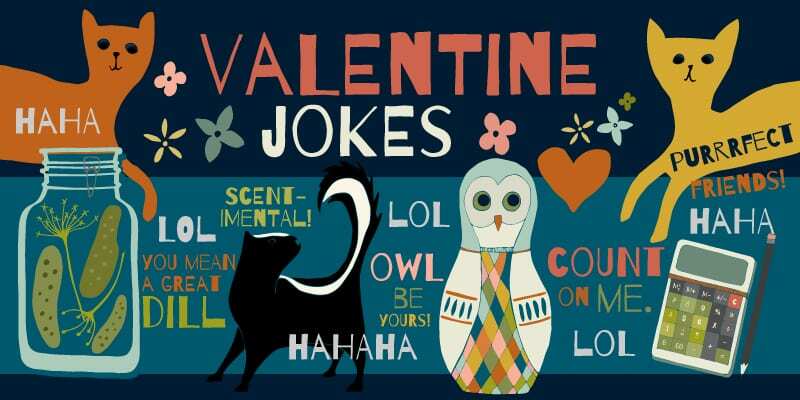 What better occasion than Valentine’s Day for corny kid jokes? Share these (not too mushy!) ones with your students, then download the free printable cards from artist Corissa Nelson. 1. Knock, knock. Who’s there? Olive. Olive who? Olive you and I don’t care who knows it! 2. What did one boat say to the other? Are you up for a little row-mance? 3. How can you tell if a calendar is popular? It has a lot of dates! 4. 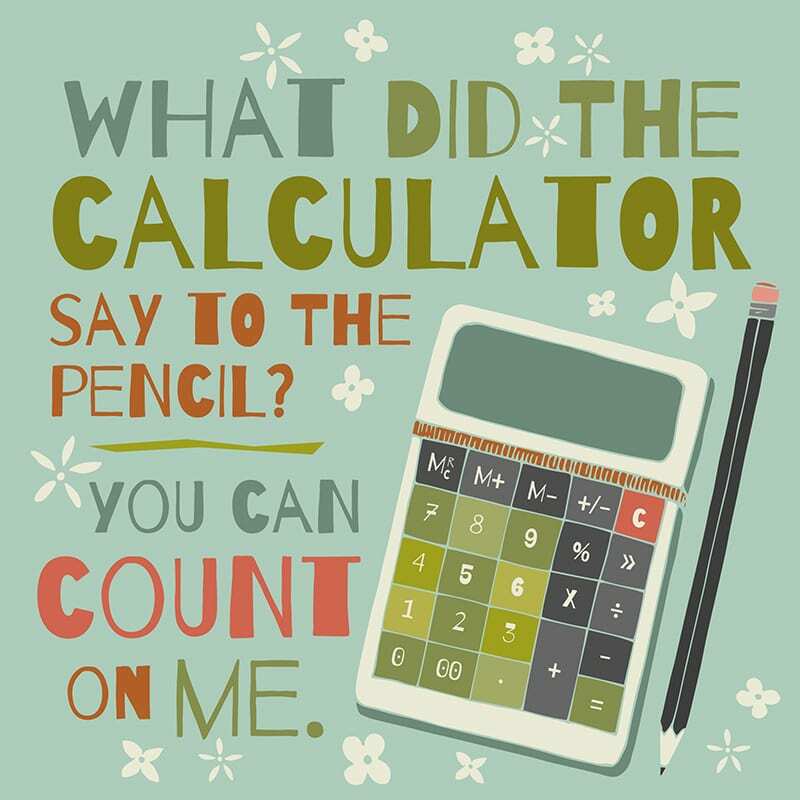 What did the calculator say to the pencil? You can count on me! 5. What do you call a very small valentine? A valen-tiny! 6. What did the pencil say to the paper? I dot my i’s on you! 7. Why did the banana go out with the prune? Because it couldn’t get a date! 8. 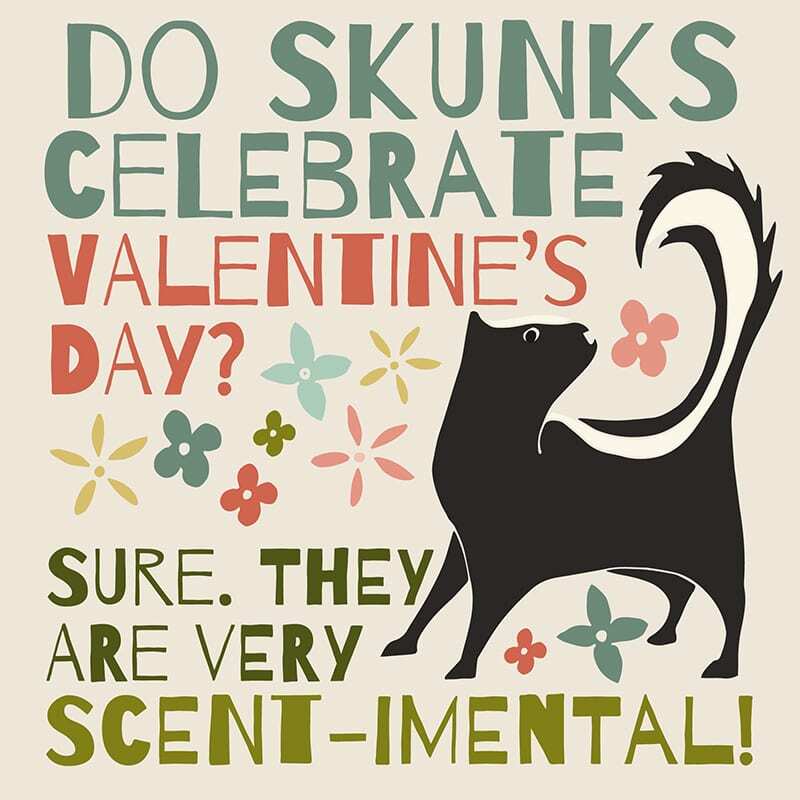 Do skunks celebrate Valentine’s day? Sure, they’re very scent-imental! 9. Did you hear about the nearsighted porcupine? He fell in love with a pincushion! 10. What did the boy octopus say to the girl octopus on Valentine’s Day? I want to hold your hand,hand, hand, hand, hand, hand, hand, hand! 11. What did one pickle say to the other? 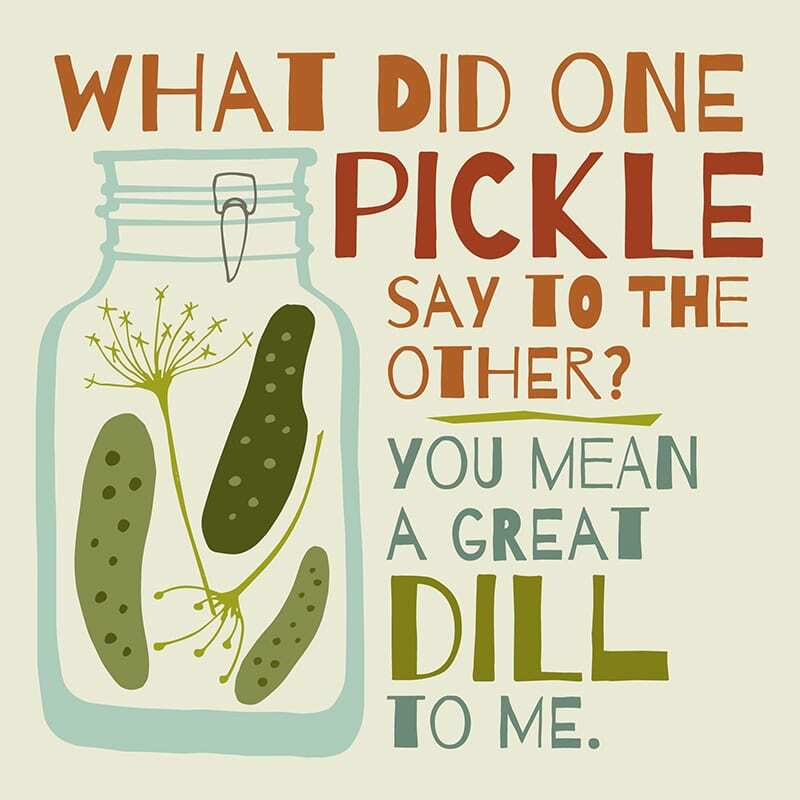 You mean a great dill to me! 12. What did the paperclip say to the magnet? I’m so attracted to you! 13. What do cavemen give their wives on Valentine’s Day? Ughs and kisses! 14. Why do melons have to get married in church? Because they cantaloupe! 15. 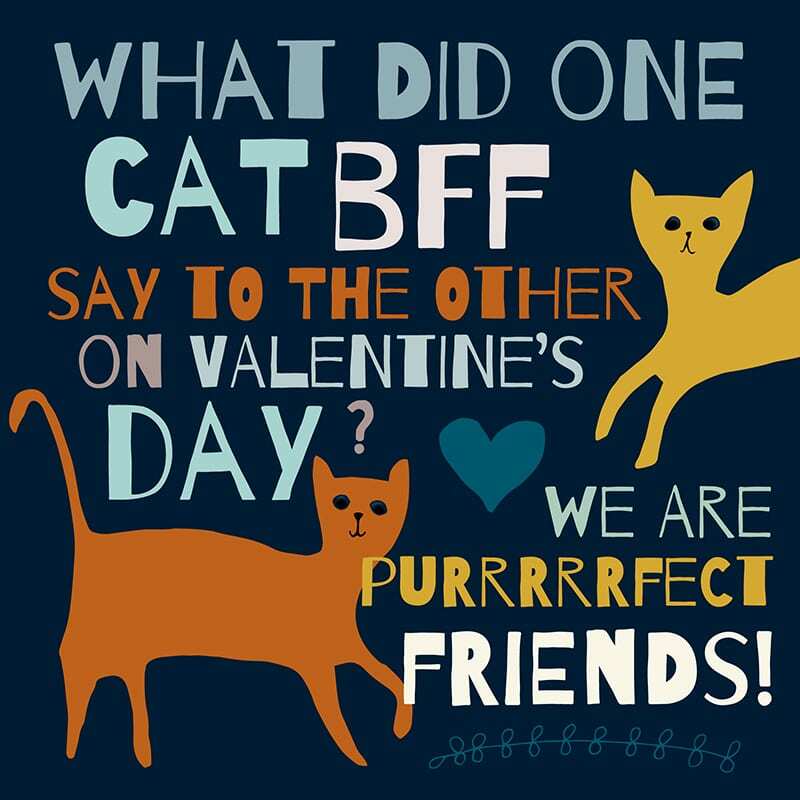 What did cat BFF say to the other on Valentine’s Day? We are purrrrrrrfect friends! 16. What did the boy candy say to the girl candy? We were mint to be together! 17. What did one dog say to the other? I love you drool-ly! 18. 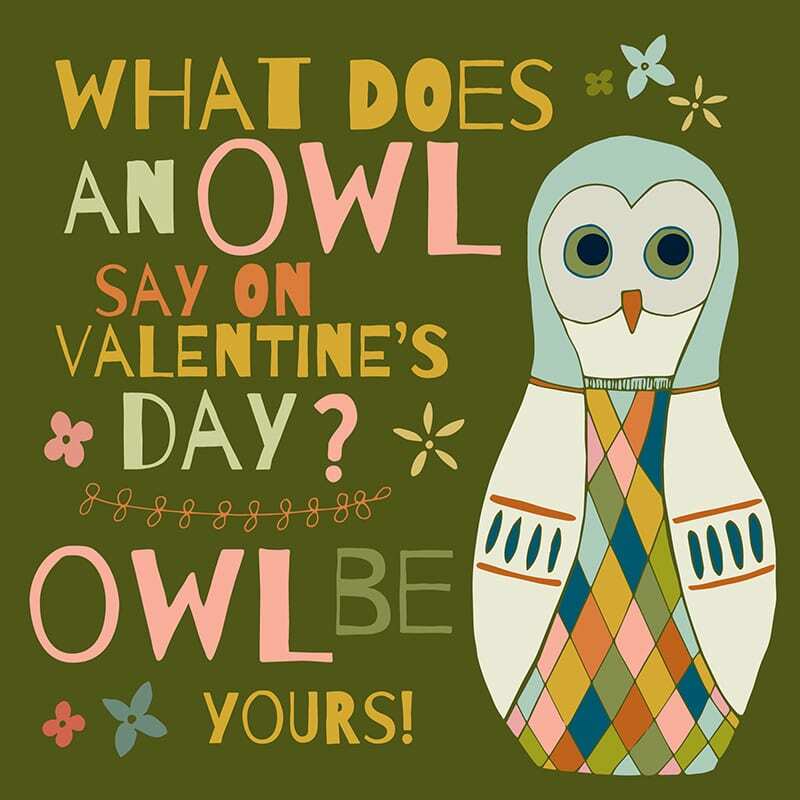 What does an owl say on Valentine’s Day? Owl be yours! Download your free VDay Joke Printable here! XOXO from WeAreTeachers!